Over Easter we would like you to research something to do with the Vikings. This can be anything from just a few brief notes (especially if you are busy with your families over Easter) to a chronological report, from a google slides presentation to a model of a Viking house... Even a trip to the local library to get a book about the Vikings to share would be brilliant! Please do as much (or little) as suits your holiday plans, but we do expect everyone to engage in this in some way. This home learning needs to be ready to be shared in class on Friday 20th April. 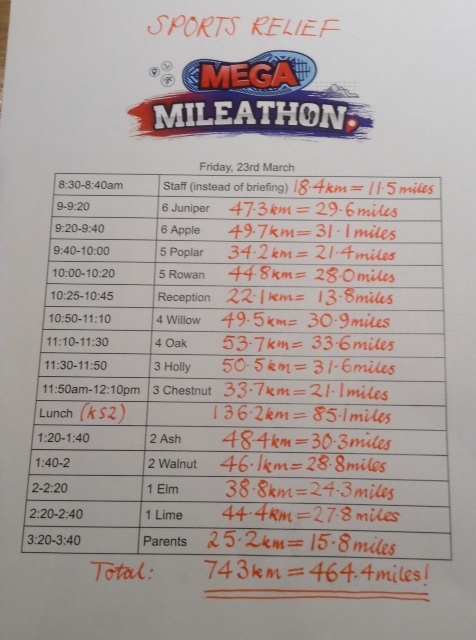 How far did we run in our Mile-a-thon for Sports Relief? We have been working really hard to make sure all of our writing is at the Year 5 standard. It isn't easy - there are so many different things to remember. So, here are some games to try at home that might help with some of the spelling, grammar and punctuation at home! Please come and let us know how you get on with them! We hope you have fun!